But the question in the real sense is, do we follow the same or are we going with the term described with the above meaning? Absolutely not, because different things are meant for different people with different tasks carrying their different mindsets. The same is with productivity, every person can be productive in different ways, but not necessarily in a set time frame or set limit. Without any doubt, I can say this or can see nearly everywhere, people want to be productive in their personal as well as in their professional lives, but only those can achieve to be productive whom put in generous efforts to do so. Though it sounds easy, when it comes to result, it takes work and planning to be done on an overall basis. Being productive is essential for getting a hold on life, indeed a purposeful life. A person having or carrying zeal in his/her life to take further a step out of an ordinary course of life becomes a leader achieving their goals at the most. WHAT IS ACTUALLY MEANT BY BEING PRODUCTIVE? It is important to get at the talk, and the talk of the day is, in today’s time of the emerging competitive world and a lot more of several distractions, well I can’t completely say them as distractions, because in present time, there is solution, infact easy solution to almost everything, which in one or other way, likely becomes the cause which could interrupt in our progressive track of life and could increase the gap between our goals which we want to accomplish and sometimes even lead us to self-doubt on our own hard work! This may be one of the reasons why one wants to be productive couldn’t produce favorable results which he/she had expected from himself/herself. When we read or listen about someone’s progressive or happy or featured life, we tend to take that person as a hard-working champ, or how he/she was able to prove them as productive, living an awesome life. But a good amount of difference lies in these things, as everyone has their own way and pace to be productive. Talking about the ways of being productive, productivity can be revived even by doing merely small things to keep one recharged while keeping the enthusiasm intact on its way. Well, when I am talking about it, I do have several ways to be productive. And Hey! It becomes a serious matter of fact, while one can easily get distracted from the overall surroundings in which one has to make his/her own identity apart from all the things. When thinking and talking about ways/methods to help one get rid of distractions and to help regain back their focus consists of easy tricks, which is indeed easy, but one has to promise mental attention and concentration for it. 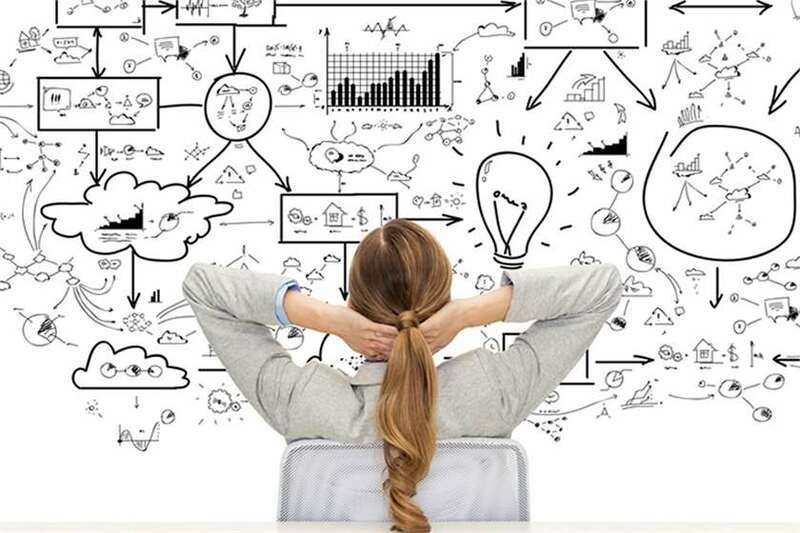 · Keeping thinking (practical/creative) about the tasks which are important to get them done in its first place, in order to increase your intellectual skills for probable solutions. · My way is to keep reading a book to bring back, my lost concentration. · The usual and so useful method, to stick up notes about the particular work which you have to get done if possible also stick some motivational quotes to keep your spirit high. We all work for a better living, for a healthier lifestyle and as a big difference, I could say to explore ourselves from the very basic levels in life. Whether I would talk about a person’s professional life or personal life, all are working towards result orientation, to achieve something, to expand their knowledge, etc. 1. Earlier I used to give too much importance and was keen on preparing the things-to-do list. As I used to decide to do at least 6-7 tasks a day and ultimately it had left with doing nothing to achieve upon. From that day itself, not taking me as a ‘juggler of many things at a time’, I started to work upon with smaller goals to complete in a day, which is now not leaving me “overwhelmed”, thankfully. 2. A method that works for me in a much more positive way, but it could sound as unusual to one, is that sometimes I do the task of de-cluttering in my house as well as to my workspace. According to me, freeing up space by eliminating unnecessary stuffs, helps me to free the mind space too for some useful ideas (creative/analytical approach to doing something important). 3. A simple way to remain more focused on your work is to stay present at the moment, as the time needs you as well. PRIORITIES OR PRIORITIZING MAY SEEM TO BE THE MOST DIFFICULT TASK, BUT IT IS NECESSARY TO FEEL YOUR OWN! 1. Doing the first thing, first in the morning or at least planning the tasks for throughout the day. 2. When I have thought about the tasks going to be accomplished within a day, I try to eliminate or to the extent minimize the possibility to surround myself with the “ifs” and the “buts”. 3. I tend to keep my electronic devices away for minimal distractions and prefer to sometimes work alone in a silent place to get done with necessary tasks. 4. I often question myself about different possibilities regarding different perspectives, in order to think about the important things to get done or accomplished. 5. When you think you’re getting affected while working in a way to achieve your goals, just breathe and think about its positive side and say to yourself “If you’re not going for it. Then who else will?” Just think about today. 6. You can also start your day by exercising (helps to lift up the mood) and reading motivational quotes to keep you inspired throughout. 7. Having a disconnected weekend or unplugging from the world of internet, helps you get prepared for the coming week to be proven productive, plus it provides you with some quality time with dear ones and for yourself as well. YOU ARE THE ONE WHO MATTERS AT THE END OF THE DAY! When I am writing today, I am more excited about sharing the helpful tricks of mine with you, which could motivate you to do more. It’s not that necessary that one has to follow a particular role model to learn from. It is helpful in listening or reading the most inspirational or follow an influential person. But doing, trying and inventing yourself with self-made efforts have its own joy and it becomes more meaningful. HOW CAN MAKING ROUTINES HELP WITH PACING UP WITH THE DESIRED PRODUCTIVITY? 1. The basic thing, which I personally can never leave is to read a good book which helps me generate some of the constructive thoughts. 2. Next thing which motivates me to do more and not giving up, is watching birds and the sky with a cup of coffee in the morning time. The simple thing in this, which we keep forgetting or have to be reminded, “Sky is the Limit”. 3. Whether it is in the home or a workplace, we need to plan ahead in order to get things done in the day, ‘it’s a basic thing’, everyone does. 4. Before bedtime, thinking about the smaller targets, that I was able to complete. Indeed, one of the best thing about being productive is going slowly but carefully ahead with your plans, to get long-term results. Pre-planning for the next day is a must to avoid confusions. The bottom line is we all are hidden pearls in the seashells, and the better way is to keep trying on our parts, who knows someday we can beat our own competency.